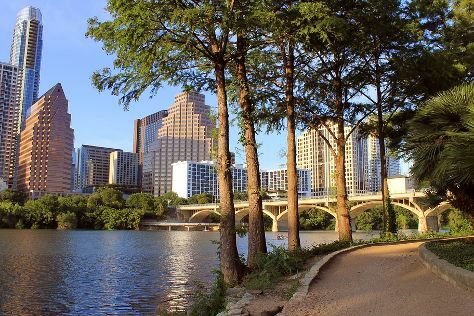 On the 5th (Sun), get your game on at The Escape Game Austin, steep yourself in history at Texas State Capitol, and then stroll through Lady Bird Lake Hike-and-Bike Trail. Get ready for a full day of sightseeing on the 6th (Mon): steep yourself in history at The Driskill, then get engrossed in the history at Bullock Texas State History Museum, then witness a stunning natural landmark at Barton Springs Pool, and finally snap pictures at Congress Avenue Bridge / Austin Bats. To see photos, reviews, traveler tips, and tourist information, refer to the Austin day trip planning app . May in Austin sees daily highs of 85°F and lows of 65°F at night. Wrap up your sightseeing on the 6th (Mon) to allow time to travel back home.